Funny Midhusband Delivery Cartoon - Does it hurt? Can I get you a beer or something? 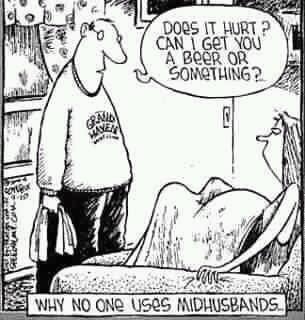 Why no one uses midhusbands.